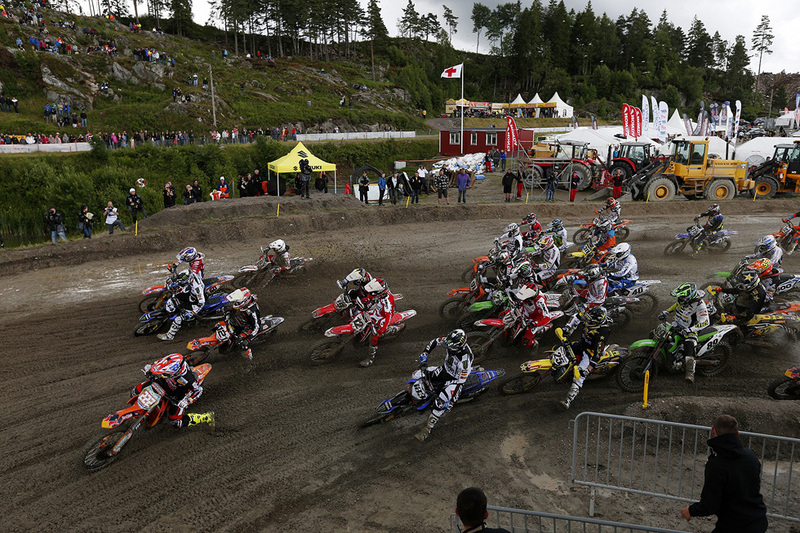 The Motocross circuit of Uddevalla was filled with over 22,0000 spectators this weekend. 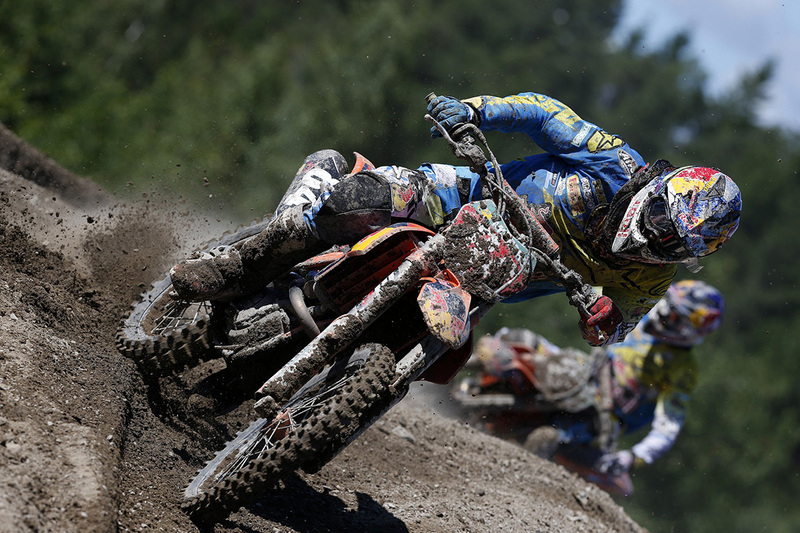 Highlights video of some intense racing as well as excellent photos from Ray Archer below. 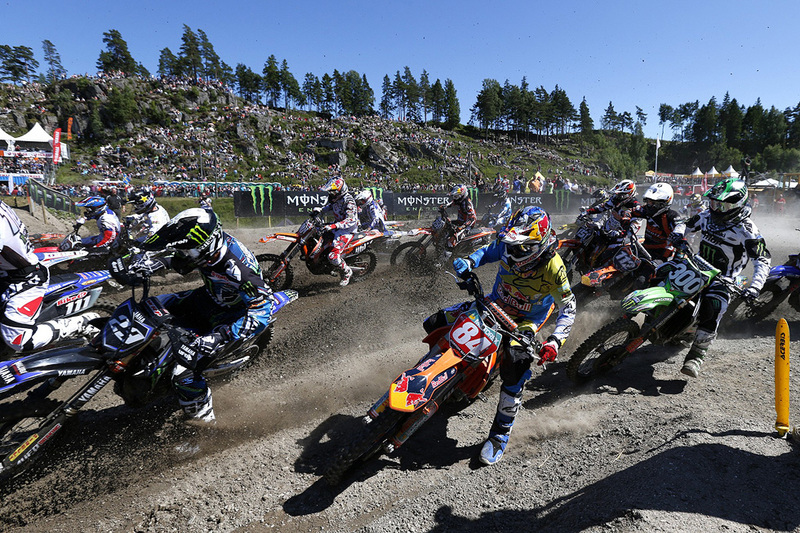 The Red Bull KTM Factory Racing team riders were in winning form on Sunday for the MXGP of Sweden picking up wins in both MX1 and MX2, with all four KTM factory riders on the podium and with Antonio Cairoli and Jeffrey Herlings picking up two more red plates as championship leaders. 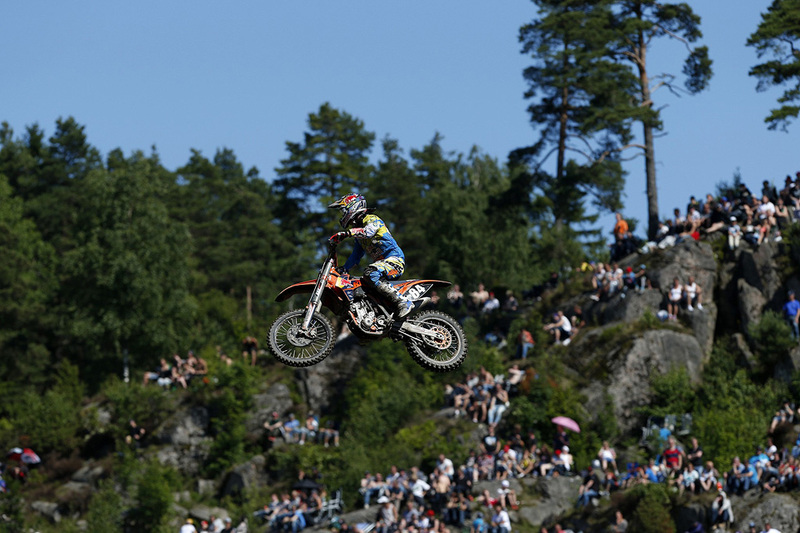 It was a particularly special occasion for Tony Cairoli who raced two near perfect motos to claim his sixtieth career GP victory but even better, to dispel the memory of 2012 where here in Uddevalla he picked up a very rare double DNF. He was blameless on both counts but left Sweden on that occasion without adding to his points. 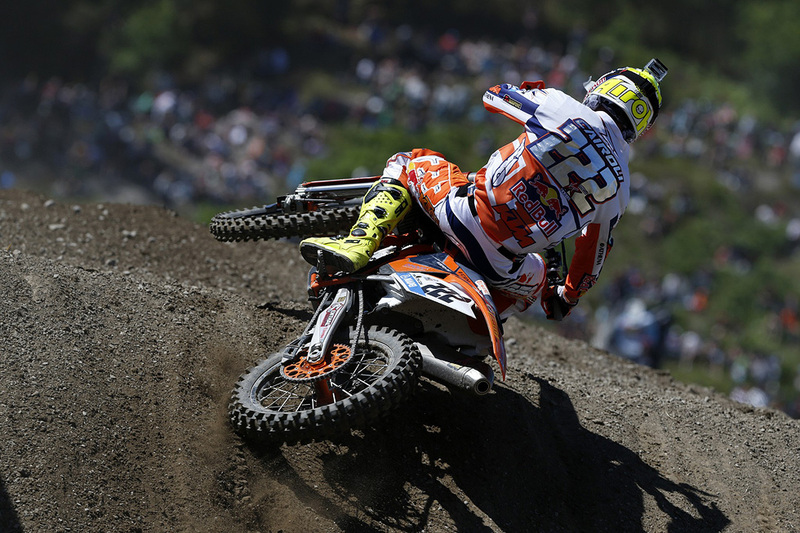 Not so this year, when the Italian added another 50 to his already impressive lead in the championship. 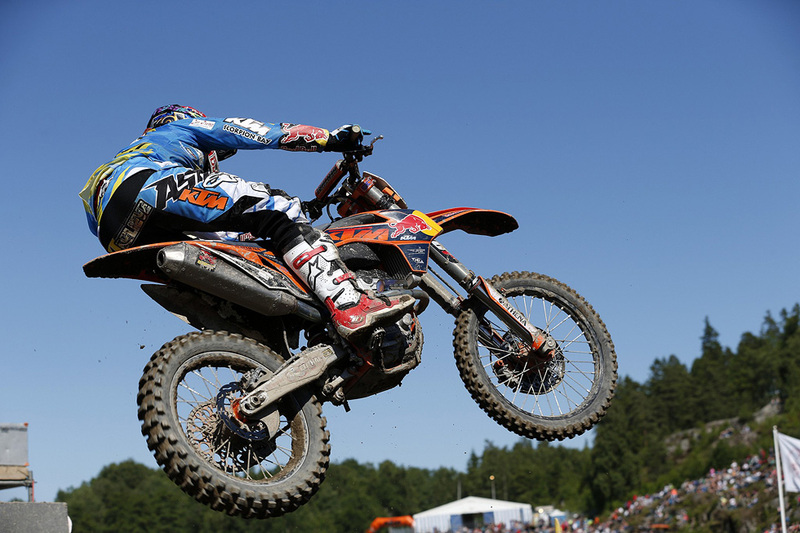 Rain had churned up the track into a near swamp on Saturday for qualifying but on Sunday the sun came out both on the track and on the KTM factory team. The result could hardly have been better. 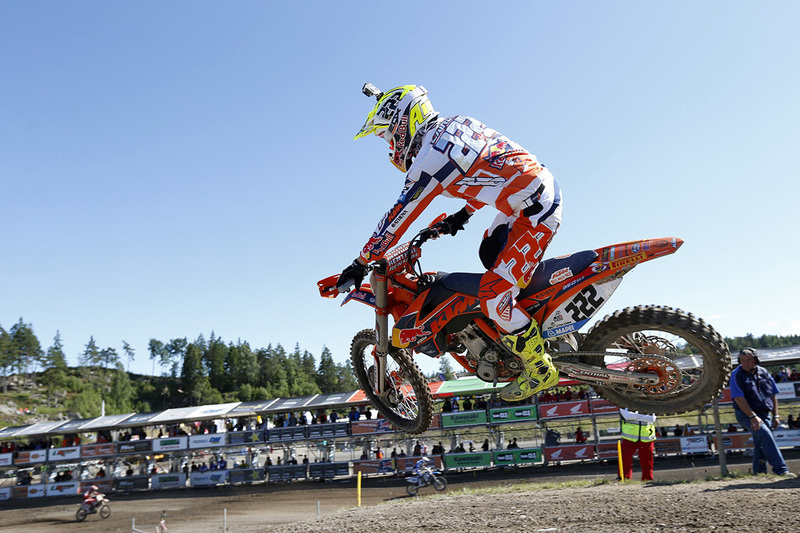 Cairoli and teammate Ken de Dycker were 1-2 in MX1 and Herlings and teammate Jordi Tixier finished 1-3 in MX2. 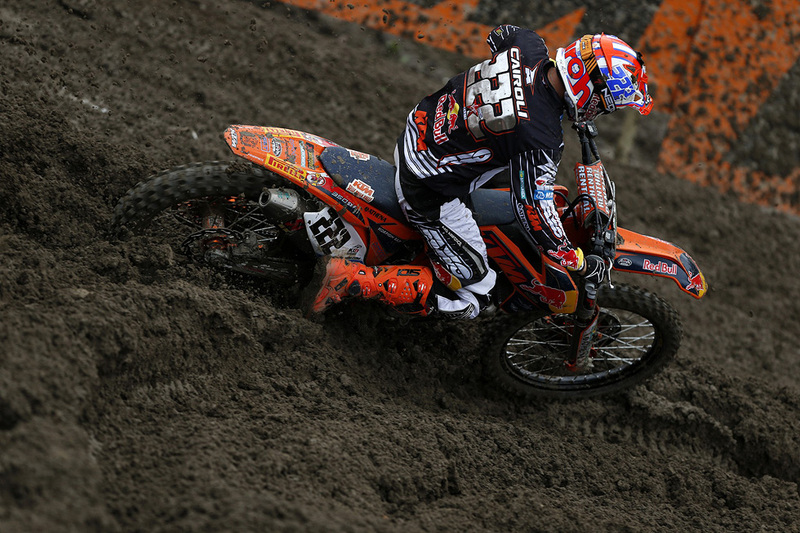 But while Cairoli was the master of the deeply rutted track in both MX1 motos, Herlings kept his clean score card of winning every GP so far this season to a large degree thanks to a great effort in the second moto by his teammate Jordi Tixier, a fact fully acknowledged by the Dutch teenager after the race. 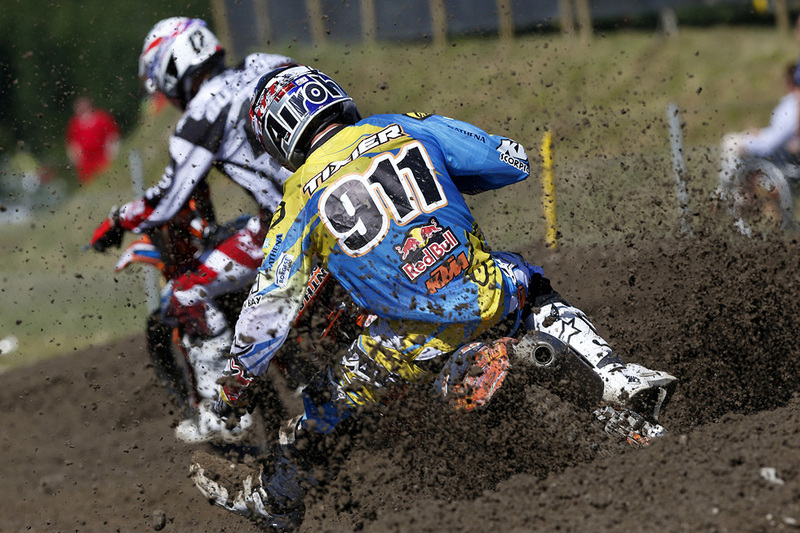 Herlings crashed in to opening lap of his first moto when he ran into the bank at the side of the track amid multiple riders jockeying for position. 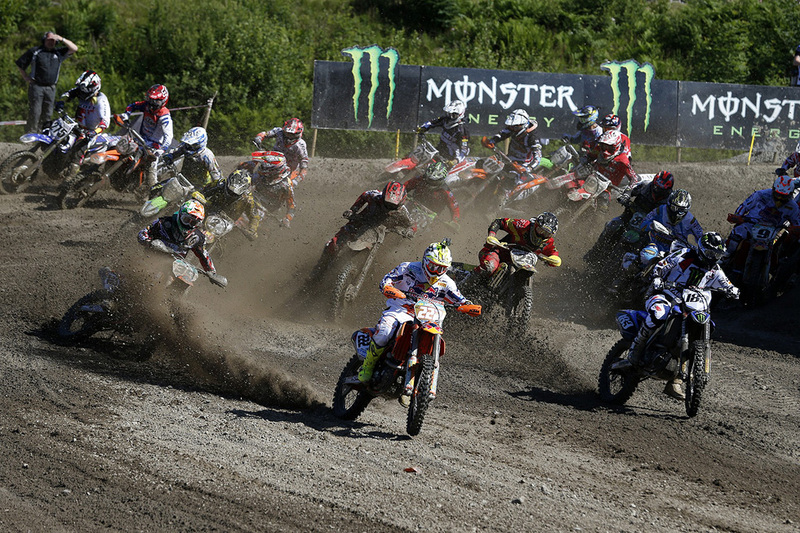 He scrambled back on the bike but was stranded back at twenty-first position with everything to do to make it to the front. 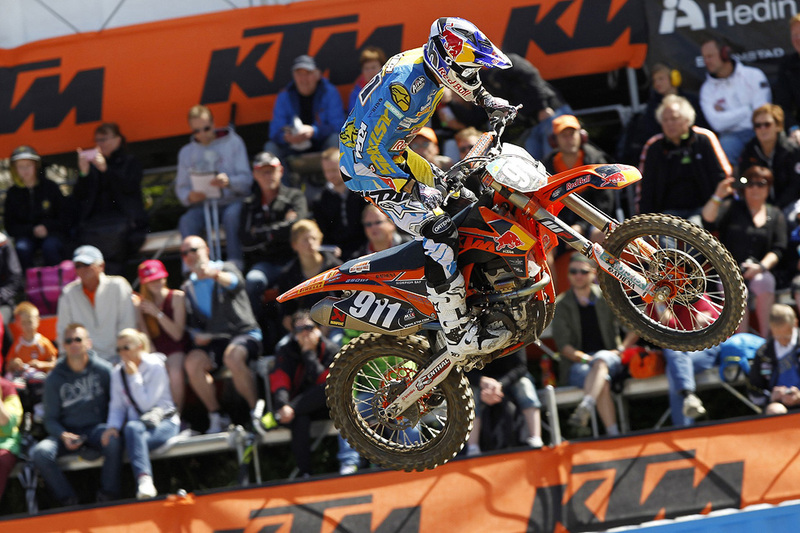 Undeterred, Herlings put down the hammer on his KTM 250 SX-F and six laps into the race he was up to eighth place. 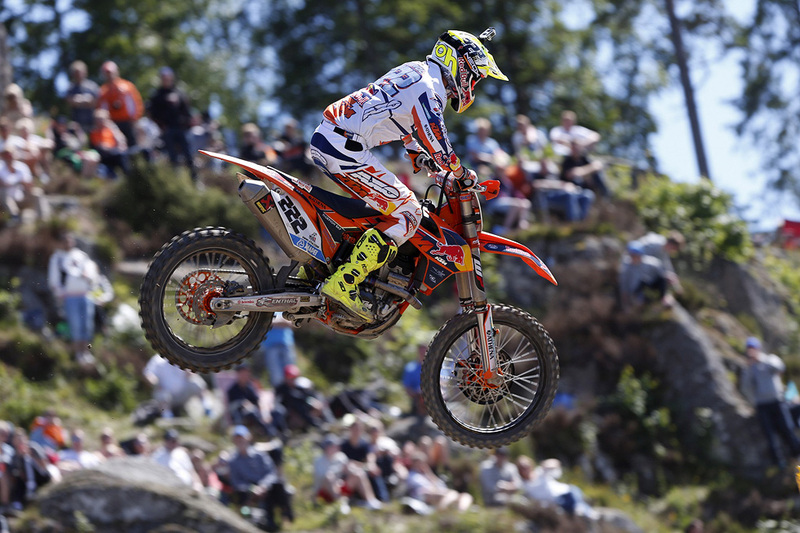 He then concentrated on salvaging his best possible result and finally finished third behind Christophe Charlier and KTM rider Jake Nichols. 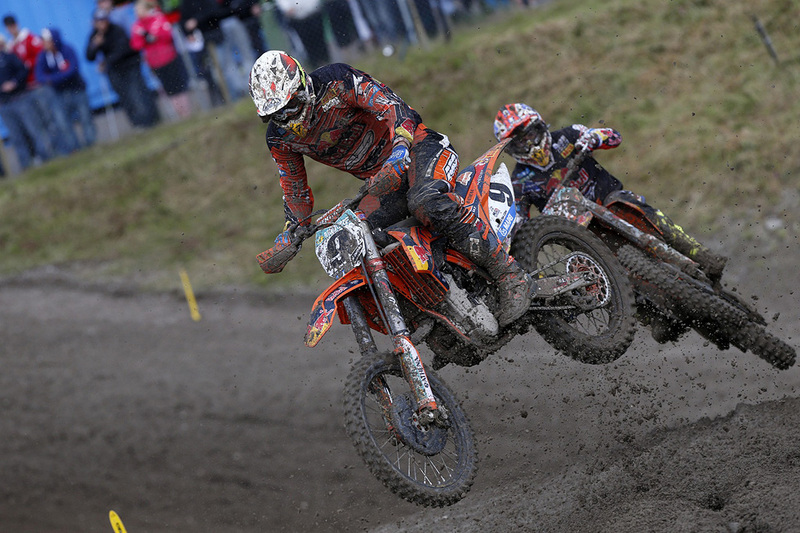 Teammate Tixier was fourth. 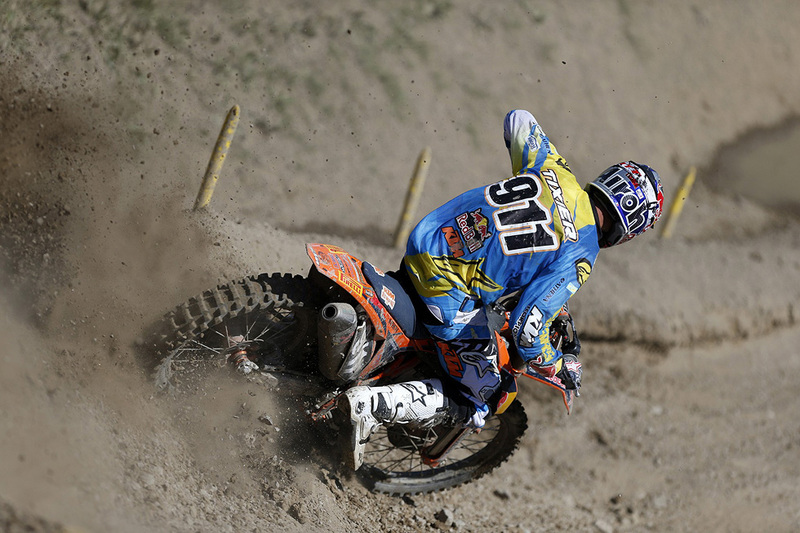 This put Jeffrey in a tricky position for the second moto. 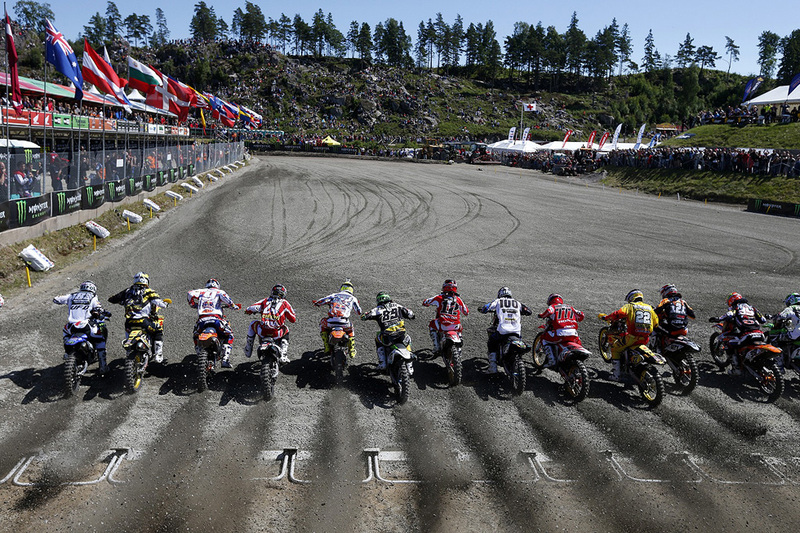 He had to win and he had to count on Tixier holding off Charlier to finish no better than third. 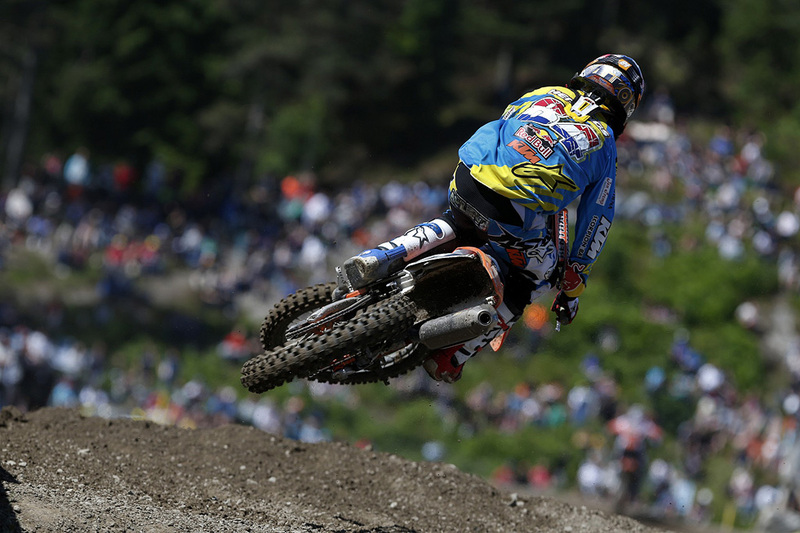 The result was perfect teamwork from the Red Bull KTM Factory Racing duo. 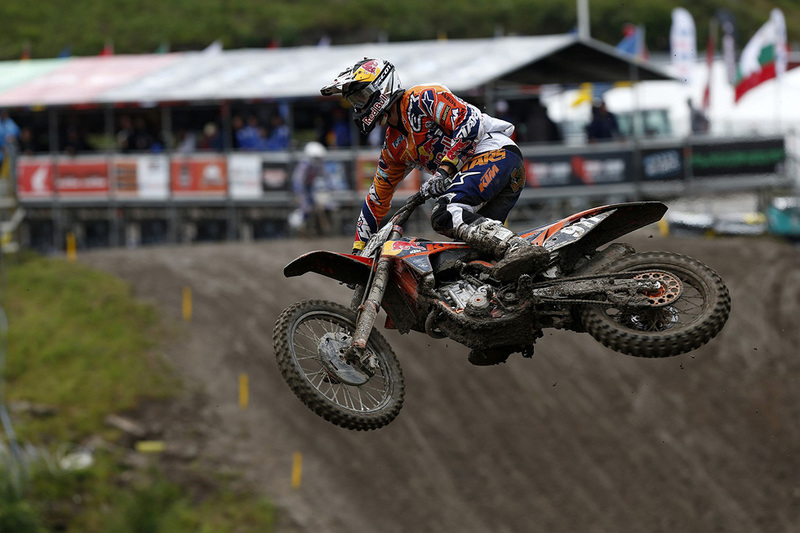 Jeffrey did the business and comfortably won race two, but it was perhaps Tixier who was the KTM hero of the day after he delivered on holding off Charlier. 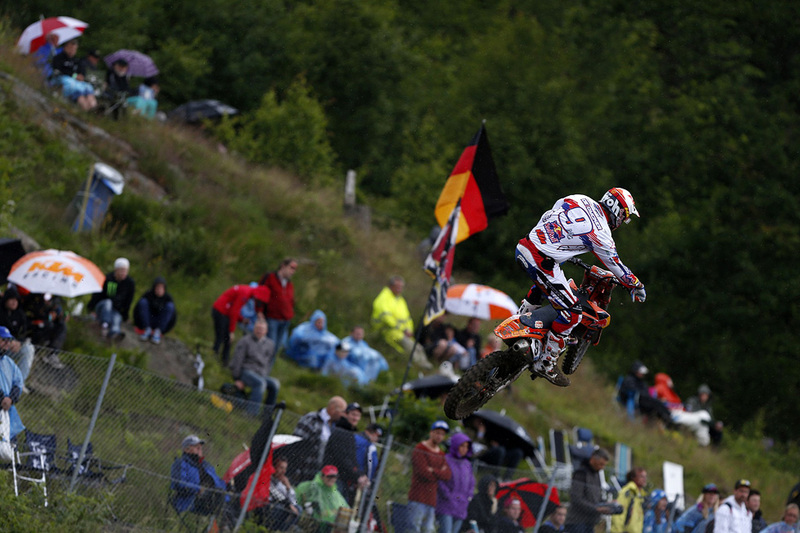 The podium: Herlings took the top step, Charlier was second and Tixier a very well deserved third. 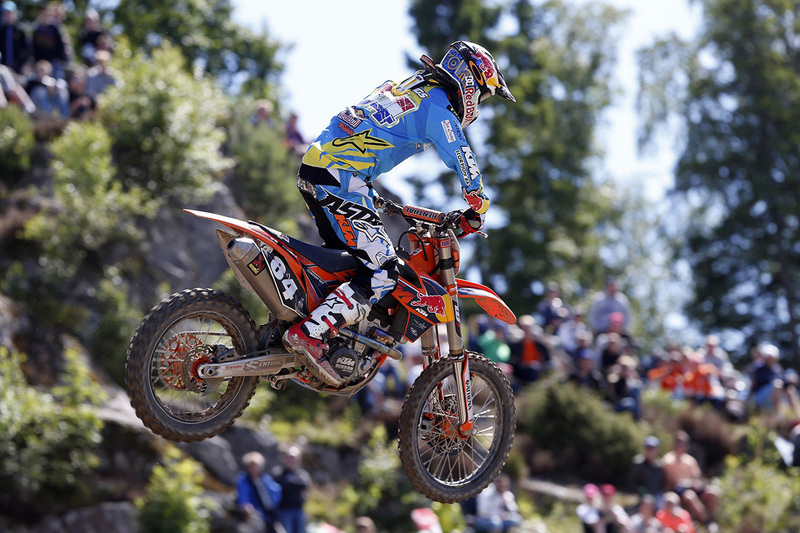 Jordi Tixier: “It was a good weekend for me. I got two good starts but in the opening moto I didn’t feel so good for the first 15 minutes and I had a gap to Charlier and Nichols. Then Jeffrey passed me in the last lap. 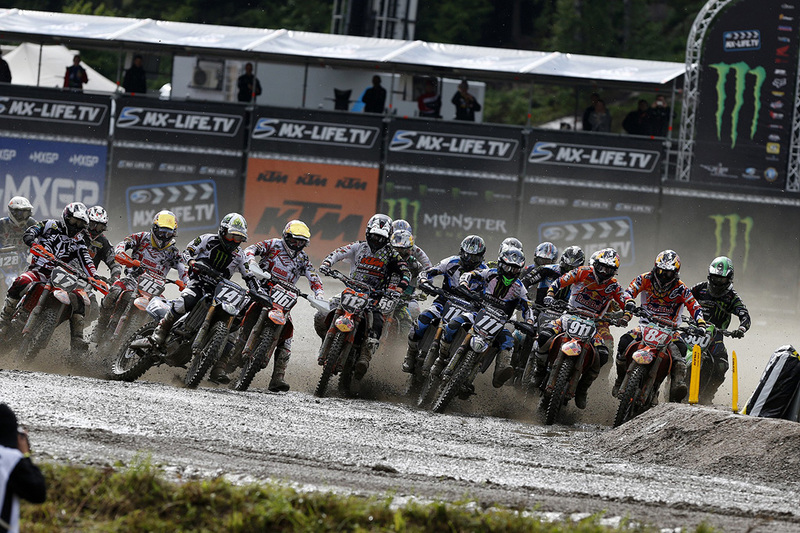 In the second moto I almost got the holeshot but I braked a bit too early. I had a good flight with Burton and it was good to be third today. 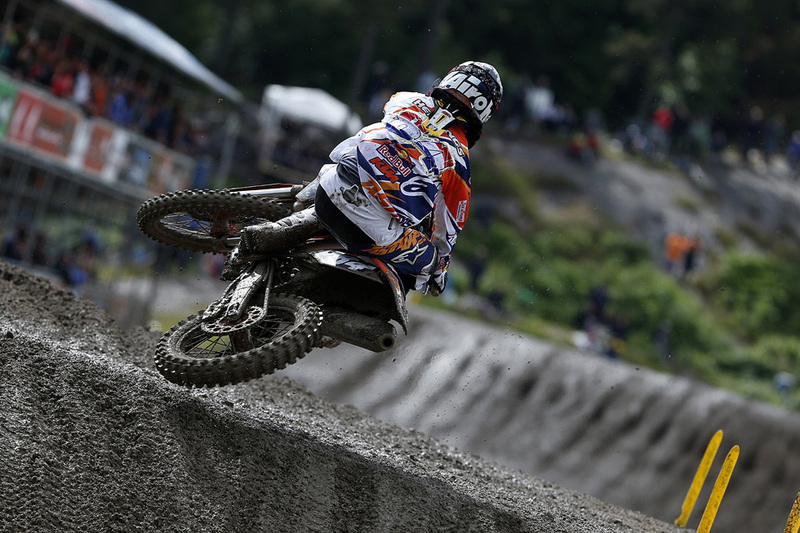 To round off a great day for KTM in Uddevalla, Swiss rider Valentin Guillod and Damon Graulus of Belgium also took 1-2 in round 3 of the EMX250. 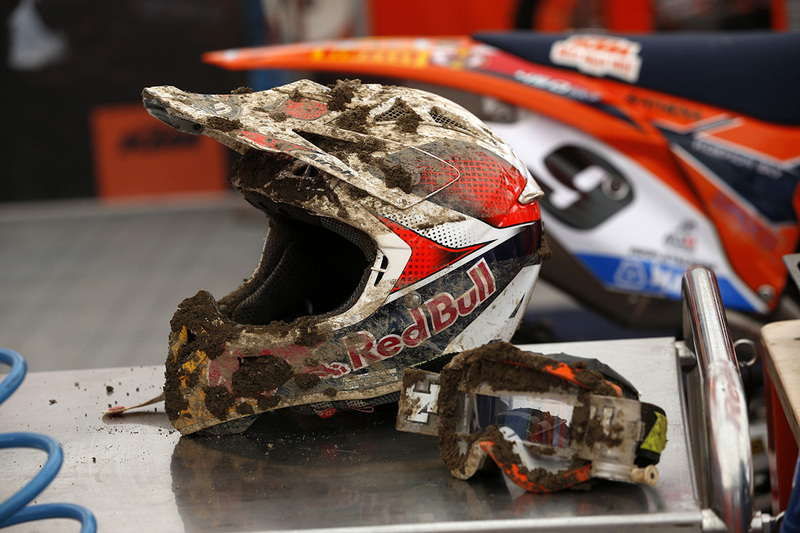 “It was good to win again but here it was not easy. 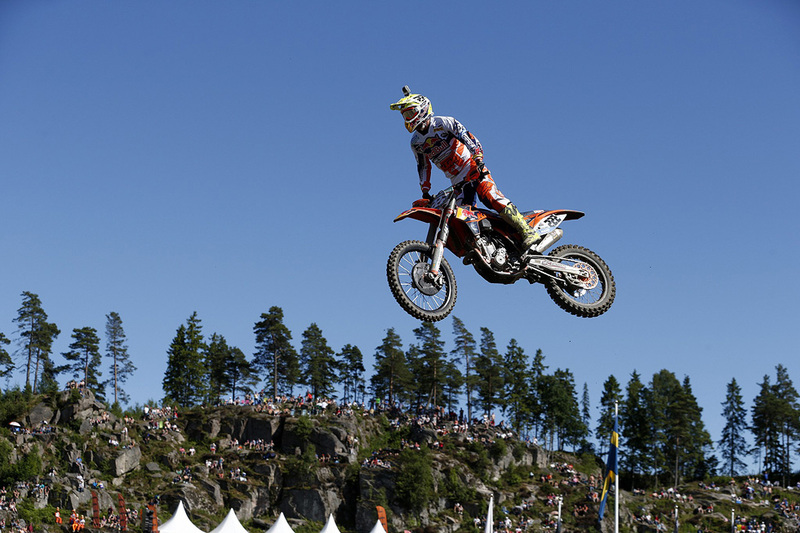 It was difficult to pass because there was only one line and it was very slippery.” EMX250 races again next week in Kegums Latvia.